Singapore offers a reassuringly stable, familiar framework for selling a business if you’re an entrepreneur from Europe, North America or Australia. 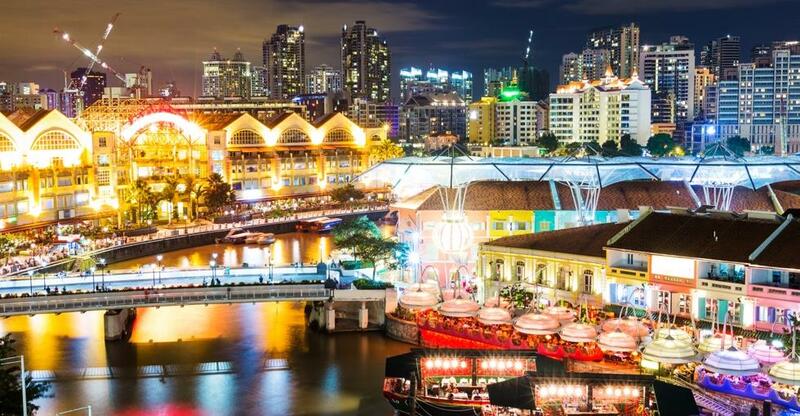 Business-friendly, with comparatively little corruption and a legal system based largely on the English common law model, Singapore offers a reassuringly stable and familiar framework for selling a business if you’re an entrepreneur from the English-speaking world. Rob Christie, a British business-transfer adviser who runs the Hong Kong and Singapore office of CFO Counsel, has offered some tips based on the sale of a construction project management company in Singapore that had been running for more than a decade with more than 100 professionals in more than six countries. “The lessons learned from this sale also apply to start ups and SMEs,” he wrote on the CFO Counsel website. Inevitably, money and commercial drivers usually play a central role in the decision to sell up. People often want to sell at what they perceive to be the top of the market or, conversely, because the business is struggling. Sometimes, however, personal motives – like seeking retirement or a fresh challenge – are more important. “Whatever the reasons, talk with shareholders and family before making any decisions,” writes Christie. Christie, who advises entrepreneurs who want to restructure, grow or sell their businesses, recommends that you juxtapose the value of your business with the funds you need to raise to retire comfortably, finance your next venture, or whatever your plans may be. If you need to grow your business to realise you aspirations then you need to consider the time and effort required and whether you’re prepared to do it. It’s worth contemplating your exit strategy as soon as possible – whether you want to exit in a few months or a few years. Preparation is everything and that means setting aside plenty of time – and setting targets. Rob Christie recalls working as a CFO for a company whose shareholders targeted a sale in three to five years time and achieved it in three and a half. “Early on we set targets on what was wanted and how to get there, and the sale went almost according to plan,” he says. While unforeseen complications can slow things down, establishing a timeline at the outset can motivate parties to keep things progressing at a reasonable pace. This highlights the importance of professional help – do you have time to field hundreds of queries when you’ve a business to run? A price/earnings (P/E) ratio is the most common form of business valuation. Generally based on an industry-standard ratio, a P/E multiple means the buyer can quickly calculate how soon they’ll get a return on their investment. Asset-based valuation subtracts the total value of the business’s liabilities from that of its assets. Not accounting for income, such an approach is often used for businesses in liquidation. The entry valuation model puts a cost on building the business from scratch to its current standing and profitability – so the cost of buying premises and equipment, of developing products and services, of recruitment and training, of marketing campaigns and so on. Businesses with stable cash flows might deploy discounted cash flow. Extrapolated from current cash flow, future cash flows are discounted over time – usually between 15-25% a year – to reflect the rising risk (ie, current cash flow is a less reliable barometer of cash flow five years’ hence than next year’s estimate). Elements of several models are often combined depending on the sector and the business’s particulars. It’s stating the obvious, but your business needs to perform as effectively as possible to attract the highest possible price. But surely this is what entrepreneurs strive for every day whether they’re selling up or not? When you put your business on the market – through this site, business brokers or the trade press – you should have ready a short guide to your business to show buyers. Called a sales memorandum this document should briefly outline the business’s products and services, physical assets, number of employees, some financials (nothing too specific for confidentiality reasons), its status in the sector and any other unique selling points (eg patents, high footfall, above-average social media footprint). This is your chance to showcase the business in a positive light. However, resist bending the truth: the buyer may walk away if due diligence exposes any dubious claims or reveals problems obscured by or omitted from the sales brochure – and that’s a lot of time wasted for both parties. As in Europe, Australia and North America, professional brokers and property agents in Singapore will have buyers on file they will gladly put forward if they think your business meets their criteria. In any form of negotiations – whether it’s the sale of a business or trade negotiations between countries – certain universal principles usually apply. You need clarity at the outset about what each party wants from the deal – then you can work towards a compromise that suits both parties. A confidentiality or non-disclosure agreement (NDA) is a must if you need to disclose sensitive information that could damage your business if it fell into the wrong hands. That said, an NDA is no panacea. “I’ve seen a few cases where competitors have just come in and done some due diligence then walked away with the info – the NDA being really only as good as your ability to pay legal fees, so be careful,” says Christie. This is why assessing the buyer’s bona fides – their motives, background and ability to finance the purchase – is so important. Your adviser can help you screen buyers before any confidential information is disclosed. Once terms are agreed, the buyer will want to conduct due diligence: an in-depth investigation of your books and records, your premises and every other relevant aspect of your business. Put yourself in their shoes and ask yourself: what might put me off buying this business? Resolve any problems you identify. “If you can’t clear them, consider whether to disclose them to a potential buyer rather than the buyer finding surprises which may disrupt the sale,” advises Christie. Unwanted surprises can prompt the buyer to renegotiate the price, warranties and other terms in their favour – or they may walk away from the deal altogether. It’s worth reviewing your accounts for the last three years, noting any trends and irregularities that might need an explanation. For instance, a sharp, short-term dip in profits might be explained by a once-in-a-century weather event beyond your control. Following best practice won’t necessarily guarantee a smooth process, however. Unforeseen developments beyond your control can disrupt the many moving parts. The process is especially difficult for small businesses being acquired by large organisations with huge resources, he says – another compelling reason to appoint an experienced advisory team to help you navigate the process. Patience and thoroughness are both essential virtues throughout the sales process – right up until the final documents are signed and the keys handed over. Further reading: Thomson Reuters PRACTICAL LAW has produced an extensive guide to the legalities and tax implications of doing business in Singapore. Thinking about buying another business in Singapore? Read our guide to buying a business in Singapore.